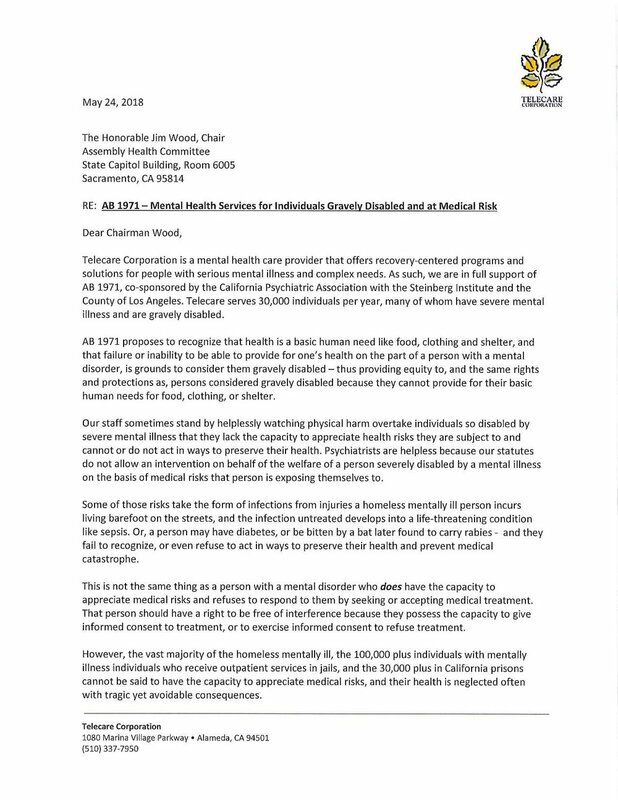 Telecare Corporation is a mental health care provider that offers recovery-centered programs and solutions for people with serious mental illness and complex needs. We serve 30,000 individuals per year, many of whom have severe mental illness and are gravely disabled. 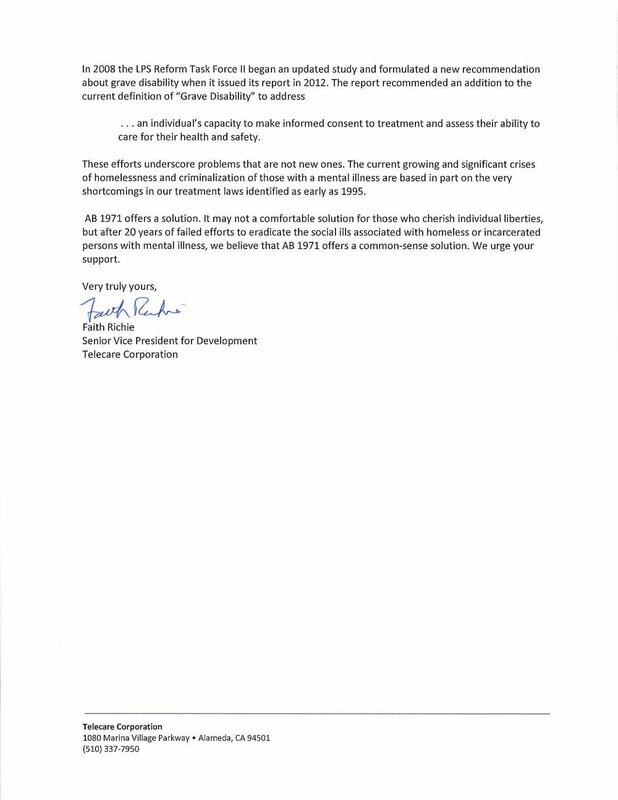 As such, we are in full support of AB1971, co-sponsored by the California Psychiatric Association with the Steinberg Institute and the County of Los Angeles. We support this important step toward helping people receive respectful, necessary, quality care. The bill has passed out of its house of origin and is awaiting committee hearings in the second house. AB1971 updates the criteria to consider someone gravely disabled, expanding the definition to include those who are unable to recognize or care for their own urgent physical medical needs because of their mental illness. The number of homeless people who are dying on the streets has nearly doubled since 2013. Last year, Los Angeles County alone reported 831 deaths, with the total number statewide reaching into the thousands. Many of these deaths were due to untreated physical illnesses such as sepsis and other infections, diabetes, heart conditions, and life-threatening injuries. This bill helps to support those gravely ill persons who are unable to care for their own physical needs due to mental illness.